We encourage children to have excellent attendance and celebrate those that achieve 100% termly and annually. It is important that the children learn the life skills of commitment and punctuality. 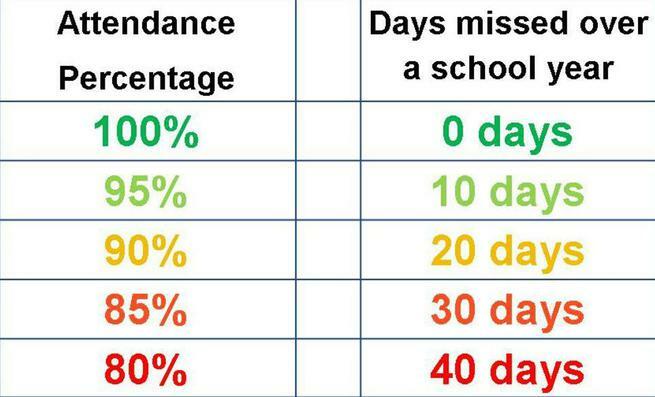 Attendance and punctuality are monitored carefully within school. At Berkeley Primary School we strive to achieve 100% attendance. Many thanks for the support of the vast majority of parents and carers in the school for ensuring good attendance for our children. Our attendance figure from September to the end of the Easter term is 95.77%. We are always striving to improve this – we want every child to be 100%. 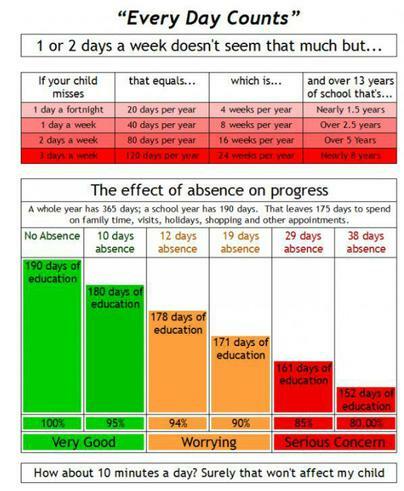 Good attendance is essential for a successful future for your child. Research shows that some young people who regularly miss school can be drawn into anti-social behaviour or crime. We want all our children to be happy and achieve, we want them to have a good education so they have choices and opportunities in adult life. We monitor attendance very carefully so that we can support families. The Government have defined the ‘persistent absence threshold’ as 90%. We write and speak to parents on a regular basis if their attendance or punctuality is causing a concern and put in place measures to try to improve this.